Benedict sipped the beer alongside his brother, Mgr Georg Ratzinger, and received a gift basket that included pretzels. 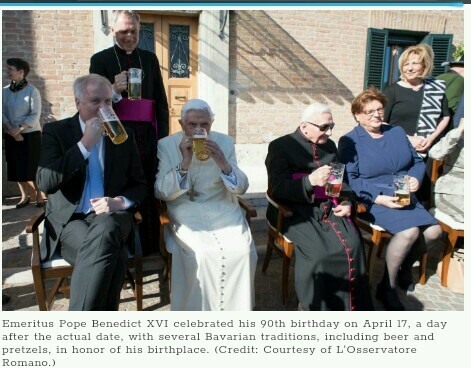 The retired pontiff was born on April 16, 1927, in southern Germany. But since the birthday coincided this year with Easter Sunday, the occasion was celebrated on Monday.